If you are like me and have all of your sessions in their own Lightroom catalog, sometimes it can take a bit of time navigating for the right catalog you want to open. Here’s a simple tip for Mac users to help with this problem. Step 1: Create a smart folder in Finder that shows Lightroom catalogs from the last 60 days. 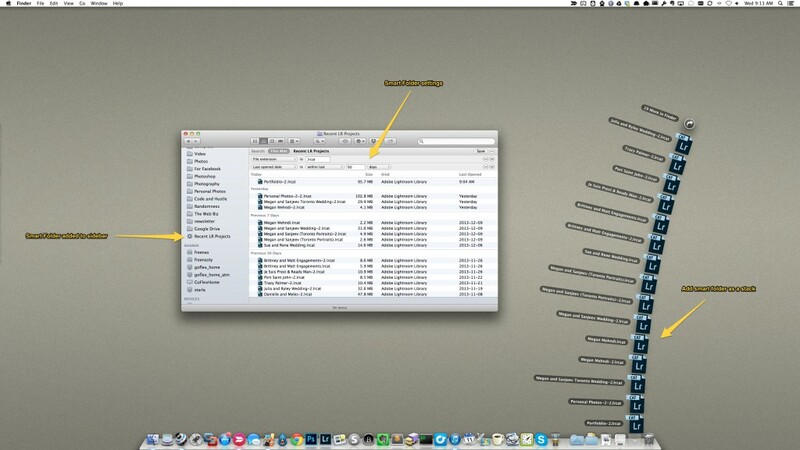 Step 2: Add the Smart Folder to the Dock as a Stack for quick access. Click the image below for a larger version.